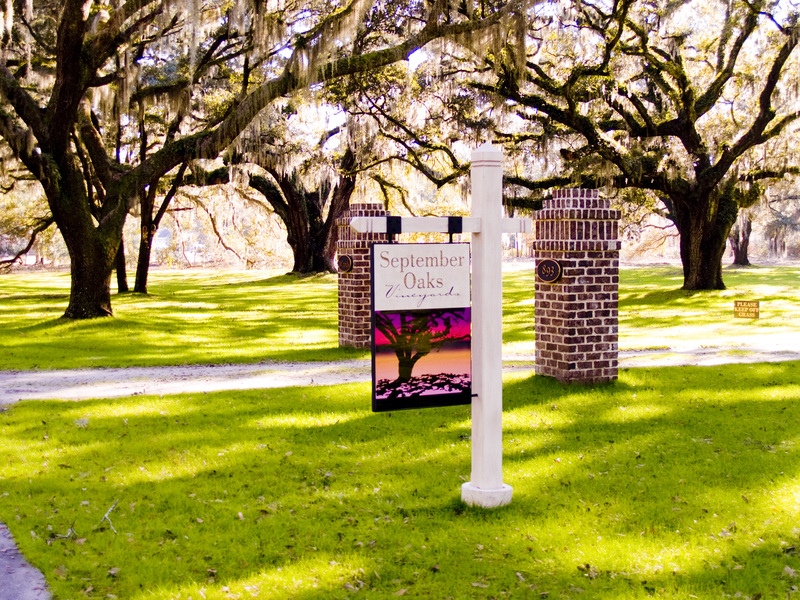 September Oaks Vineyards is a family-owned boutique vineyard in Ridgeland, SC, located just 1 1/2 miles from I-95 exit 21. We invite you to experience our rustic vineyards and taste our unique, award-winning muscadine wines and muscadine/vinifera blends. Our tasting room is open from 1 to 6 p.m. Tuesdays through Fridays, and noon to 6 p.m. on Saturdays. We invite you to bring a picnic to enjoy on the grounds. Beginning in 2011, the property is available for weddings and other events.